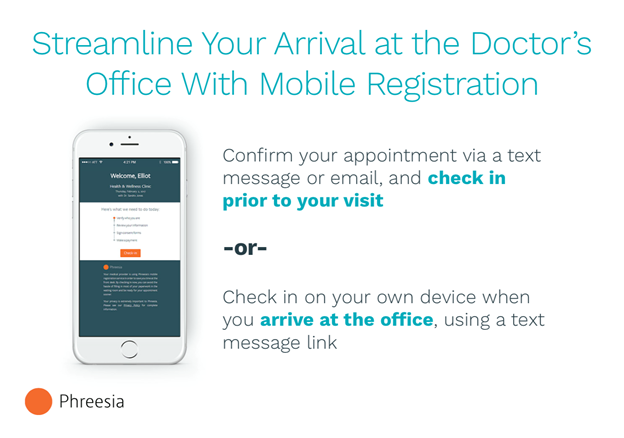 We will verify your insurance benefits and collect your co-pays, co-insurance and deductibles at check-in. Easily and securely add your credit card on file to qualify for express check-out for many appointment types. No apps to download! 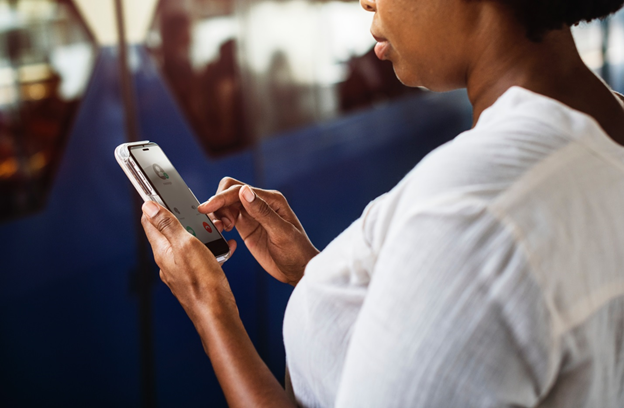 Your email and a secure code get you started on your smartphone or computer. No internet or email? 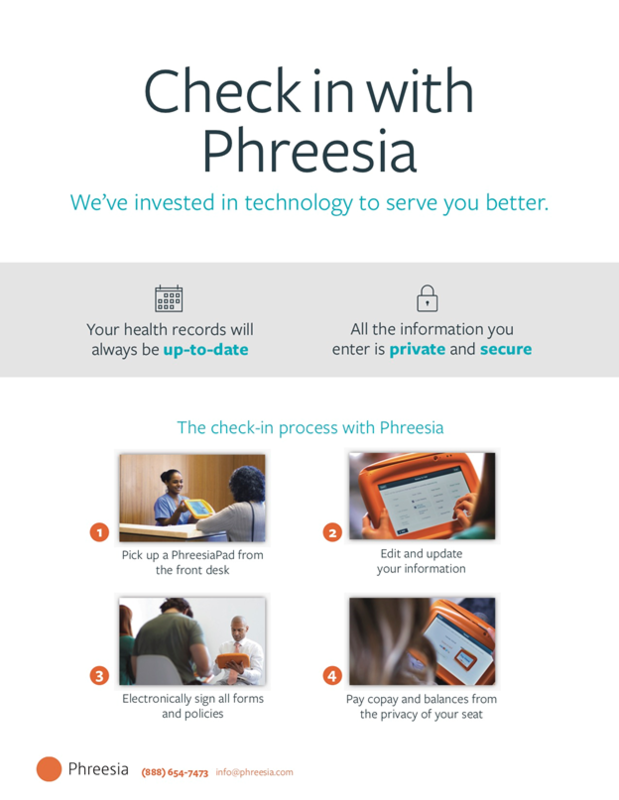 No problem – just arrive early and use a Phreesia pad at the office. We value your time and privacy as our patient. This new technology will help us serve you better.